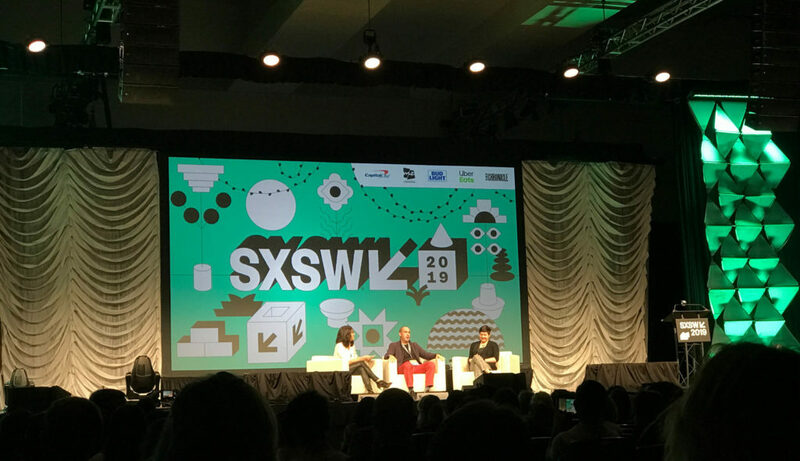 SXSW: the wild and weird of what’s new in music, film and digital. If you haven’t attended before, it’s a fascinating experience, offering educational sessions on everything from cryptocurrency to cannabis. With visitors coming from all over the world to see, learn, immerse, discuss and connect, it’s no wonder some of the most popular and forward-thinking brands are there to engage. So it only made sense to pack our bags and head to Austin with our client, National Watermelon Promotion Board (NWPB). 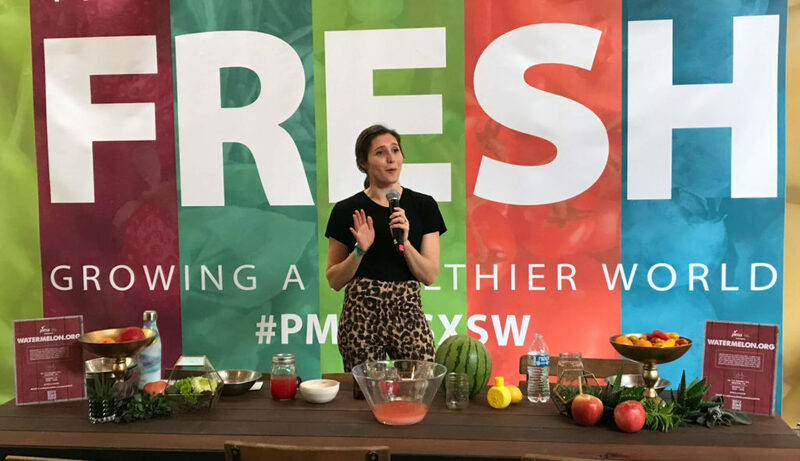 In its first-ever SXSW splash, NWPB brought juicy delights and insights to conference goers, activating multiple experiential elements during a two-day produce event in partnership with Produce Marketing Association. Cannabusiness is hot, hot, hot. It’s uncharted territory so the playbook is being drafted as we speak. Policymakers, advertisers and cannabis brands are paving the way through the challenges of taking a fringe issue to a big industry. This is a space to watch, and it’s moving fast. Experiential marketing is the new viral video. How can we connect with our audiences both online as well as IRL? By creating immersive, shared experiences – think Lululemon’s in-store yoga classes or Gilmore Girls’ Luke’s Diner Pop Ups– to engage audiences in meaningful, impactful ways. In a culture of FOMO, extending these experiences to digital is key. Influencers are here to stay but they need to stay ahead of the curve. Today it’s Instagram but what’s tomorrow? Influencers and the brands that leverage them need to be sure the audiences they’ve worked so hard to build aren’t lost if/when there’s a major platform shift. Remember Myspace? P.S. Don’t underestimate the micro-influencer: Many times, their smaller audience is more dedicated to a niche topic vs. a macro influencer with millions of disparate audience interests. Cheeselandia is what dreams are made of. Wisconsin Cheese’s Cheeselandia goes to show that sometimes what’s in doesn’t have to be new. 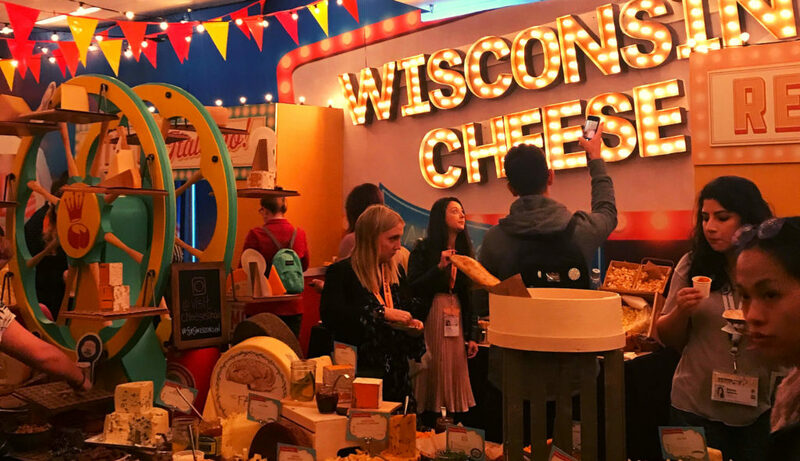 The extremely popular event sampled more than 100 cheeses, “fondue falls,” a grilled cheese + tomato soup pairing and a cheese-sticked Bloody Mary. So gouda. Expo halls are full of weird and wonderful. 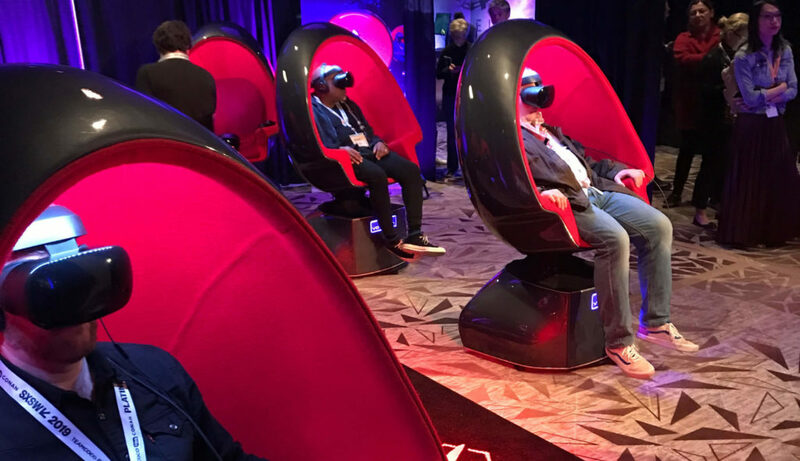 From learning what it would be like to live on Mars through an interactive VR experience to 3D ceramics printing, there was no shortage of innovative ideas brought to life before our eyes. We’re feeling inspired and look forward to putting what we learned to work for our clients. See you next year, SXSW!